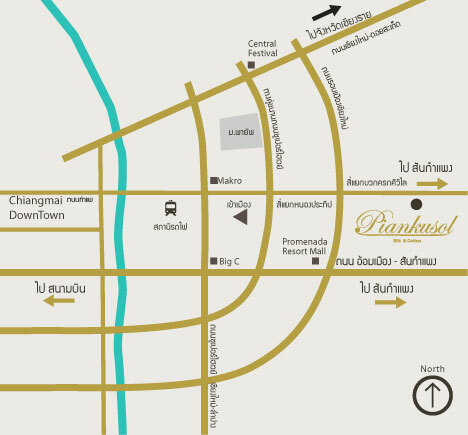 56/3 Sanklang, Chiang Mai - Sankampaeng Rd. The Piankusol family has been in the business of silk weaving for more than 200 years. Kingkaew Piankusol is a third generation silk trader who has been surrounded by textiles since she was a child. Providing a wide range of silk products from upholsteries, to home décor, to clothing, they have most recently expanded their range to include organic cotton production. Piankusol has launched a new eco-friendly ready-to-wear line, which incorporates organic silk and cotton, using all natural dyes and waste materials. Kingkaew has now passed her reigns over to her grandson and his wife who plan to continue the family legacy.